Do you know how to play Go Fish? You should, because everyone knows how to play Go Fish. It is a requirement for being a kid and is about as basic of a card game as you can get. Patch Products has taken Go Fish and made it even more fun. 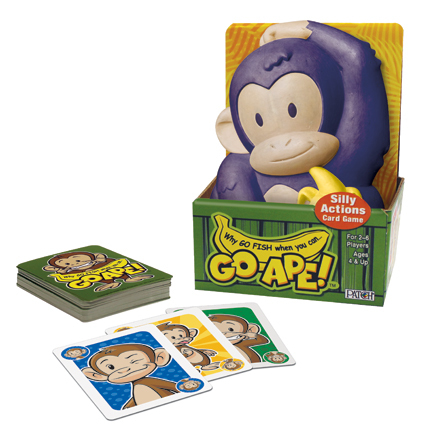 Instead of asking for a card, in Go Ape you must mimic the action of the monkey on the card. The player to collect the most pairs by the end of the game wins. Kids will enjoy playing this active card game and so will the adults playing along with them.